Isn’t it magic to come back home being welcomed by pleasant comforting fragrances? We all tried synthetic diffusers because they last long, they remind us of good childhood memories…Christmas and the Christmas pine smell…sometimes mixed with some orange and cinnamon scent. Does it ring a bell? I love that kind of think…fragrances are very important to me…however…I avoid drastically synthetic perfumes. They are irritating and even sometimes triggering allergies. 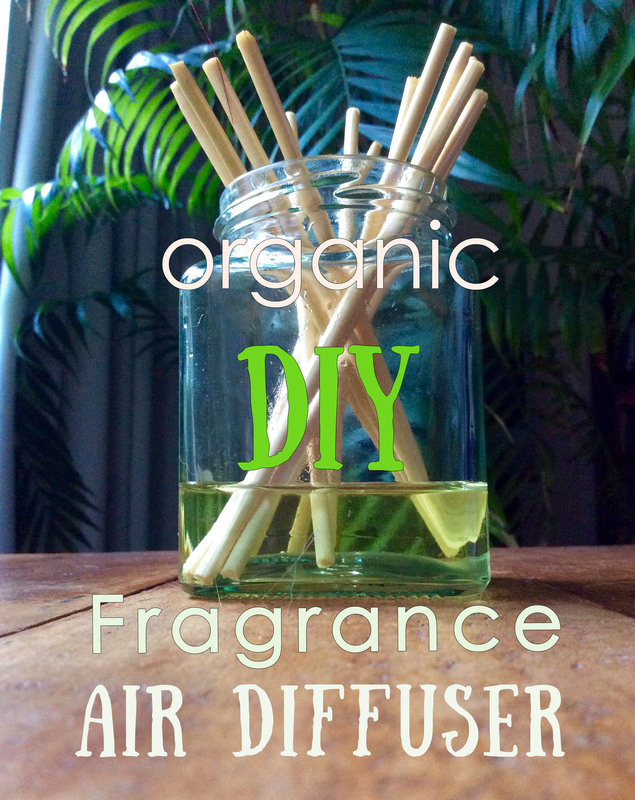 And, by the way, it is so simple to prepare your own homemade air fragrance diffuser with essential oils. Mix all the ingredients together, plunge the wood sticks into the jar for a couple of minutes, then turn the sticks up side down, so the top of the sticks can diffuse largely the fragrance. Proceed so as often as you want to reactivate the diffusing. place your natural diffuser next to any source of heat: heater, sunshine through the window, not too close to any fireplace or flame, you used inflammable ingredients, It is to be added that it is not beneficial to your health to burn essential oil, since you denature the chemistry of your oils. I love this idea! I have done it once but with no alcohol and the scent was not very strong. Will try this one out! Can’t stand chemical scents at home, so better not so strong fragrance but safe and natural. Thank you for sharing. I like this idea, thank France.